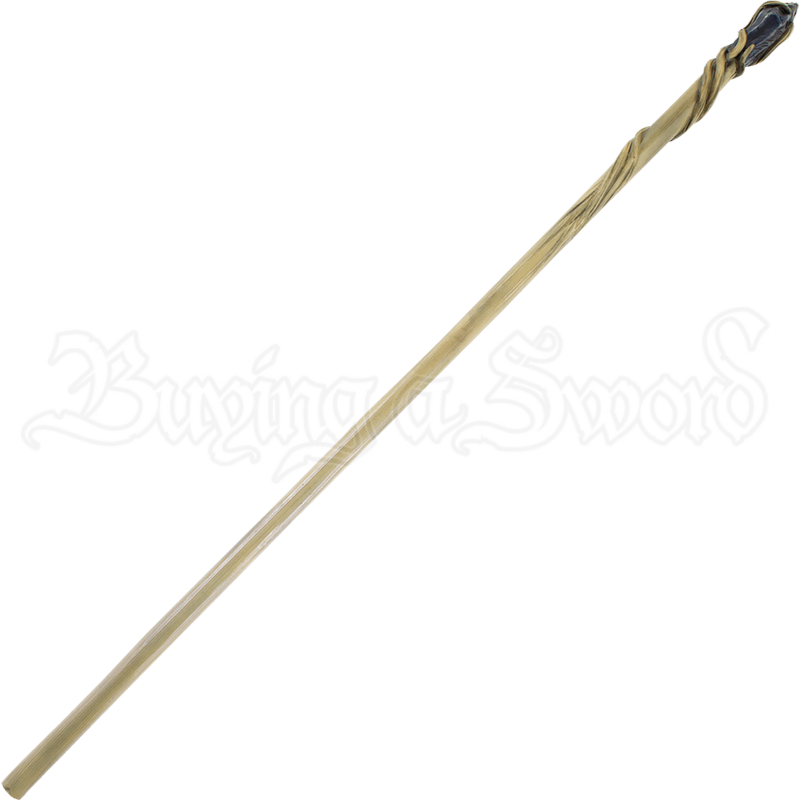 The staff is a powerful part of a mages equipment. Not only can a sorcerer channel magic through it, but it also serves as a matchless pole weapon in skilled hands. Ensure you are properly armed with the Classic Mage LARP Staff. A mystical aura surrounds this foam weapon. Surely, it was fashioned from an enchanted tree. Carefully hand-painted details give it an otherworldly appearance. Carved accents swirl around the tip of the staff to cradle a mysterious blue crystal. It is crafted from an extremely durable foam that does not shred, which has been sealed within a strong coating of latex. As safety is always a concern in LARP, this weapon also features a round, flexible fiberglass core that bends and flexes. The core also features a durable Kevlar cap for added protection, both against the core and for when the weapon is used to stab.